Whitemouth moray eels are typically seen wedged into cracks, usually with just a head sticking out. 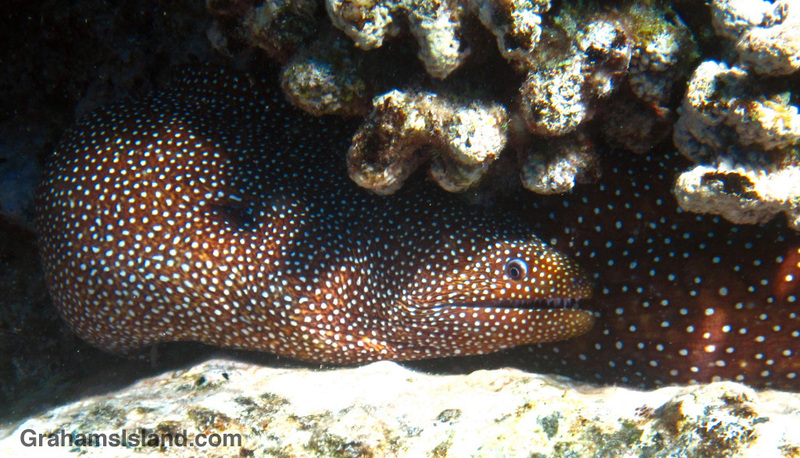 This good-sized eel was jammed in particularly tightly, under a lump of overhanging coral. I think I saw the same eel again, a couple of days later, in a different spot, but in equally cramped conditions. Perhaps it’s a bit agoraphobic.